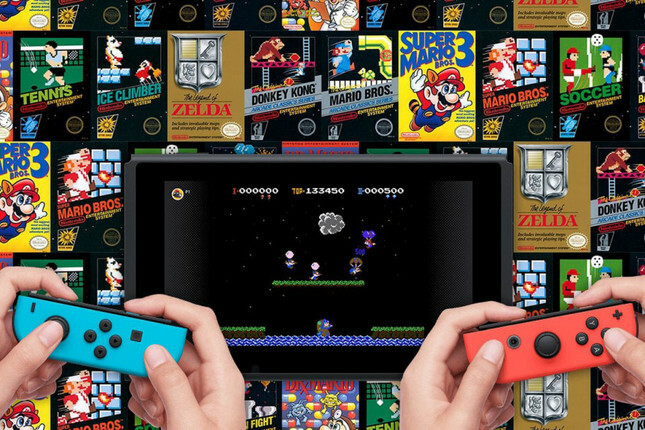 While Sony and Microsoft have offered paid online subscription models for many years, Nintendo has always seemed to shy away from the online side of gaming. Nintendo first mentioned their paid online service for the Switch in January 2017 and are finally pulling back the curtain over a year later. With more details still to come leading up to the launch in September, let's take a look at everything we know right now. The service is known simply as "Nintendo Switch Online". While definitely not as flashy sounding as it's cousins PlayStation Plus and Xbox Live Gold, I'm sure some smarty pants will come up with a sharp abbreviated name. NINSO anyone? Let us know what you think it should be called in the comments below. Nintendo's paid online subscription will officially drop in September 2018. Nintendo Switch Online will set you back AU$5.95 / NZ$6.55 for 1 month, AU$11.95 / NZ$13.15 for 3 months and AU$29.95 / NZ$32.95 for a year. Along with this, for households with more than one console, a family membership is available for AU$54.95 / NZ$60.45 and will allow "up to eight Nintendo Account holders will be able to utilise the Nintendo Switch Online service, even on different consoles." for a whole year. While not the Virtual Console we've all been clamoring for, Nintendo's offering of 20 Classic NES games at launch with more to be added on a regular basis is definitely a step in the right direction. Nintendo have so far confirmed 10 of the upcoming classic games. Launch titles include Donkey Kong, Mario Bros., Balloon Fight, Ice Climber, Dr. Mario, The Legend of Zelda and more. For the first time ever, these classic games will feature online elements. Depending on the Game, players will be able to enjoy online competitive or co-op multiplayer, or take turns controlling the action. Friends can even watch each other play single-player games online, and “pass the controller” at any time. We've all had that nightmare where we turn on our Switch to try and finish a few more shrines only to find that the save data is corrupt and our 150+ hour save has vanished. Thankfully Nintendo is finally introducing the option to upload saves to the online cloud just in case anything happens to your beloved console. Nintendo have also stated that subscribers will receive special offers and possible discounts on select eShop games. With the introduction of the paid model, the free services we've been using to battle each other in Splatoon 2 and Mario Kart will come to an end. In order to continue playing with friends you will need to be a paid subscriber much like with PlayStation Plus and Xbox Live Gold. The Nintendo Switch Online mobile app, which allows users to invite friends and use voice chat will also require a subscription come September. Here's hoping Nintendo has a sneaky Smash surprise up their sleeves for the launch of Nintendo Switch Online this September! What do you think? Is this a step in the right direction for Nintendo or do you wish they would do more?